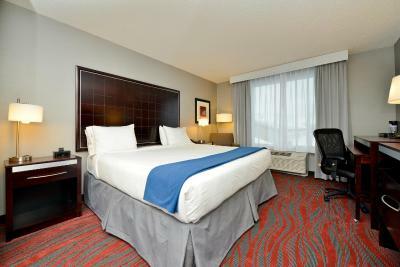 Lock in a great price for Holiday Inn Express Canandaigua – rated 9.1 by recent guests! The room was very roomy and I loved having the fridge, microwave and Keurig coffee brewer in the room. Queen beds are always a bonus compared to full and the mattress was very comfortable. Everything. From the moment we checked in to check out, enjoyed every minute. Bed was extremely comfy. quiet setting. Easy to find. Close to Hobart William Smith about 15 miles away - book early for any college event there. Great breakfast, very nice staff, very clean. Close to Starbucks and shopping in Canadaqua. 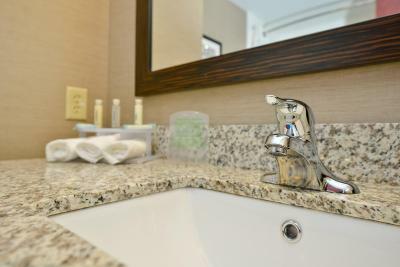 We were very pleasantly surprised at how clean and accommodating the room and facility was. We were very comfortable there and will stay again if passing thru. The breakfast was plentiful as well. Overall the hotel was satisfactory. My room was nicely decorated and modern. Appearance was very good. I felt I was in a quality establishment. However, my room was not really clean. It was ok but not super. Cleaning staff missed resupplying drinking cups. Carpet was not really clean especially behind furniture and in corners. Some debris was present on the roll out working surface. The breakfast was very good. The staff taking care of it did an outstanding job maintaining the cleanliness of the room, food handling equipment, and restocking food items as needed. Good hardworking men made me feel welcome! At the time of our stay the pool was out of order. This was a disappointment especially at $200 + per night. The pool should have been useable. I was told a chemical imbalance was the reason the pool was closed. Staff should have consulted a pool maintenance contractor to rectify the situation. Room was nice...very good breakfast included in price of room. Good coffee available around the clock. Comfortable bedding and linens. The staff was excellent. The hotel was very clean and looked like new. They had everything we needed even a snack bar. We really enjoyed our stay. well maintained hotel, the bed was very comfortable and the breakfast excellent! 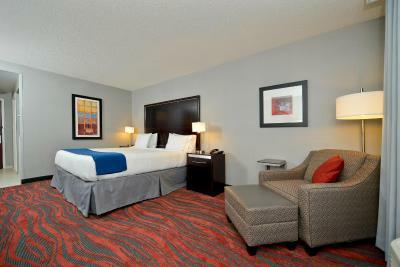 Holiday Inn Express Canandaigua This rating is a reflection of how the property compares to the industry standard when it comes to price, facilities and services available. It's based on a self-evaluation by the property. Use this rating to help choose your stay! Less than one mile from Lake Canandaigua, this Holiday Inn Express hotel is a 5 minute drive from Canandaigua Lake State Marine Park. The hotel serves a continental breakfast each morning and there is free Wi-Fi. 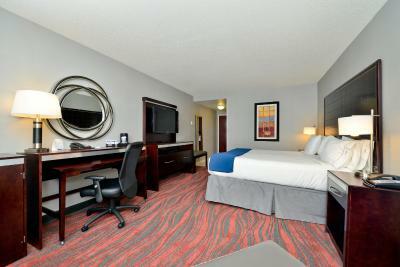 Guests staying at the Holiday Inn Express Canandaigua can enjoy swimming in the indoor pool. 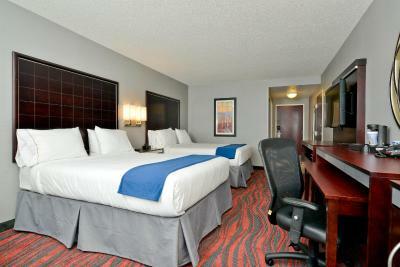 The hotel also has a business center and a fitness center available. 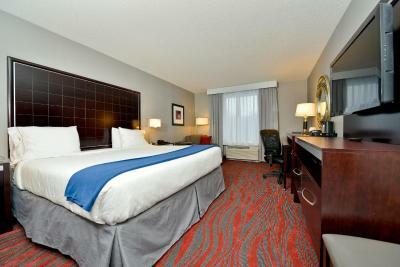 A cable TV, refrigerator and microwave are provided in the rooms at the Holiday Inn Express Canandaigua - Finger Lakes. Some rooms have a sofa bed. The Sonnenberg Gardens and Mansion State Historic Park is 4 miles from the hotel. The Constellation Brands - Marvin Sands Performing Arts Center and the Finger Lakes Community College are within one mile of the property. 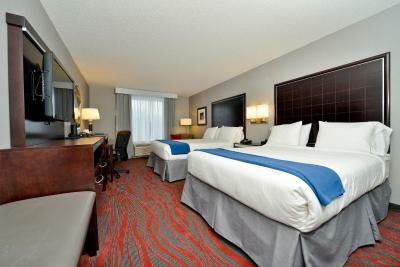 When would you like to stay at Holiday Inn Express Canandaigua? This room includes a cable TV, refrigerator and microwave. Featuring a sofa bed, this room includes a cable TV, refrigerator and microwave. This room features two queen beds and an accessible tub. Hearing accessible amenities are included. Features a microwave and a small refrigerator. This room features a hearing accessible bath tub. 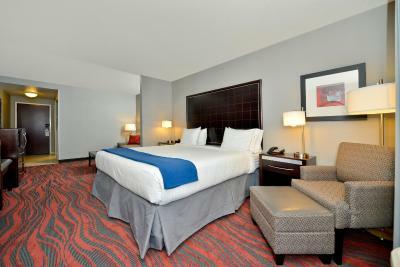 This room features hearing accessible amenities. 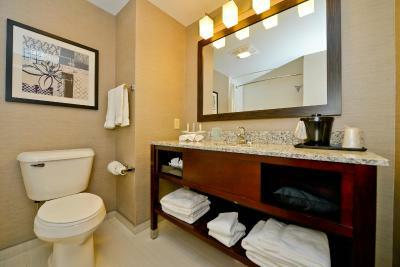 This room features mobility accessible bath tub. Features a microwave, a small refrigerator and sofa bed. 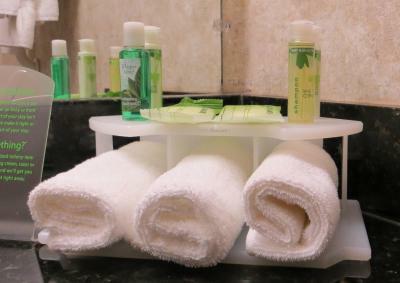 House Rules Holiday Inn Express Canandaigua takes special requests – add in the next step! Holiday Inn Express Canandaigua accepts these cards and reserves the right to temporarily hold an amount prior to arrival. Very comfortable room with microwave and fridge. The stay was satisfactory. Nothing too problematic to report. Somewhat cleaner overall would have been better. We were planning on the availability of a van to transport us to a concert at CMAC. We were told when we checked in that the van was not available that evening. We booked this motel so we would not have to drive to the concert. Very disappointed!!!! Breakfast was pretty basic self serve buffet style - but it’s free so just manage your expections. Not a didn’t like but it is a distance away from the town so you’d be much better with a car. Spacious room. Comfy bed. Plenty parking. Friendly staff - breakfast ‘clear up/restock’ guy worked like a trouper. Great location for exploring area & if attending event at CMAC. Could use larger bath soap and a disposable shower cap.